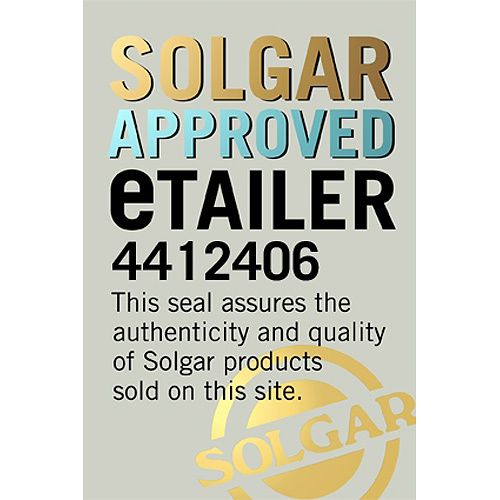 In stock -This product will ship today if ordered within the next 2 hours and 14 minutes. 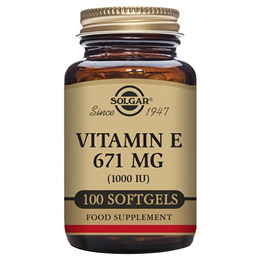 Solgar® Vitamin E 671 mg (1000 IU) Softgels, comes in softgel form to support the absorption of this fat-soluble nutrient and contains the recommended daily intake of Vitamin E in just one softgel. This ensures your body gets the support it needs to protect the cells from free radicals and oxidative stress. 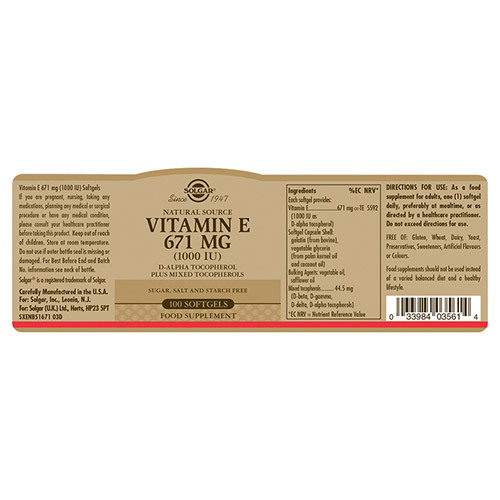 It also contains natural Vitamin E (d-alpha tocopherol). Vitamin E is a fat-soluble vitamin and can naturally be found in nuts, nut oils, olive oil, green leafy vegetables and avocados. It is an essential nutrient as it is the primary antioxidant which contributes to the protection of cells from oxidative stress and damage caused by free radicals. Free radicals are formed when we convert our food into energy, or when we are exposed to air pollution and ultraviolet light from the sun. In addition, the body needs Vitamin E to support the immune system. Eating a healthy and balanced diet should bring you to sufficient levels of Vitamin E but unfortunately the diets of most people do not reach this. Vitamin E (1000 IU as, D-alpha tocopherol), Vegetable Softgel Capsule Shell: Gelatin (from bovine), vegetable glycerin (from palm kernel oil and coconut oil), Mixed tocopherols (d-beta, d-gamma, d-delta, d-alpha tocopherols) Safflower oil. As a food supplement for adults, one softgel preferably at mealtime, or as directed by a healthcare practitioner. 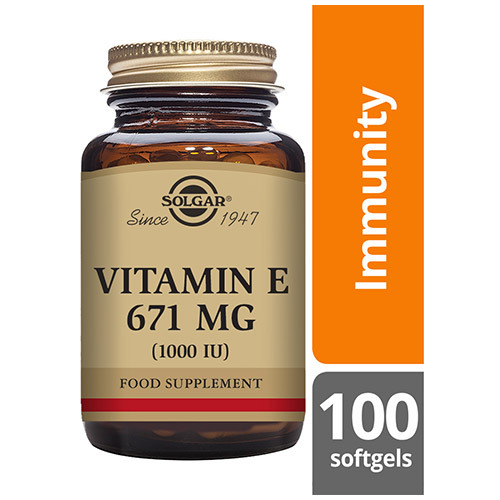 Below are reviews of Solgar Vitamin E 671mg - 100 x 1000iu Softgels by bodykind customers. If you have tried this product we'd love to hear what you think so please leave a review. 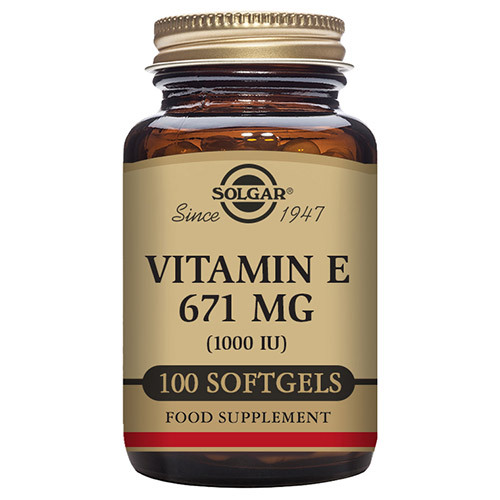 Solgar® Vitamin E 671 mg (1000 IU) Softgels, comes in softgel form to support the absorption of this fat-soluble nutrient and contains the recommended daily intake of Vitamin E in just one softgel.